757 Accelerate announced the City of Virginia Beach as a new sponsor and the hiring of new Executive Director Evans McMillion. The City of Virginia Beach is joining a regional coalition led by TowneBank that has come together to support the creation of the startup program. 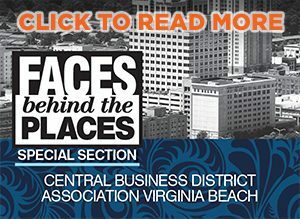 Virginia Beach’s support will be combined with $500,000 in private matching funds contributed by five Hampton Roads cities and four area universities that helped unlock an additional $500,000 in federal i6 Challenge Grant funding. Evans McMillion has joined as a new Executive Director of 757 Accelerate, where she will continue to develop the selective, mentor-driven acceleration program and nurture important partnerships. McMillion brings a wealth of experience to the startup program, as she was VP of Research and Strategy with Reinvent Hampton Roads, where she worked on increasing access to capital and development of the entrepreneurial ecosystem in the region.